SIFU MAI DU, 8TH GENERATION OF THE WAH LUM TAM TUI NORTHERN PRAYING MANTIS KUNG FU STYLE, has been practicing kung fu and tai chi for 30 years and teaching for more than 20 years under the instruction and guidance of Sifu Bob Rosen, Chief Instructor of the Wah Lum New England Headquarters in Boston and Grandmaster Chan Pui, founder of the Wah Lum System in the United States. 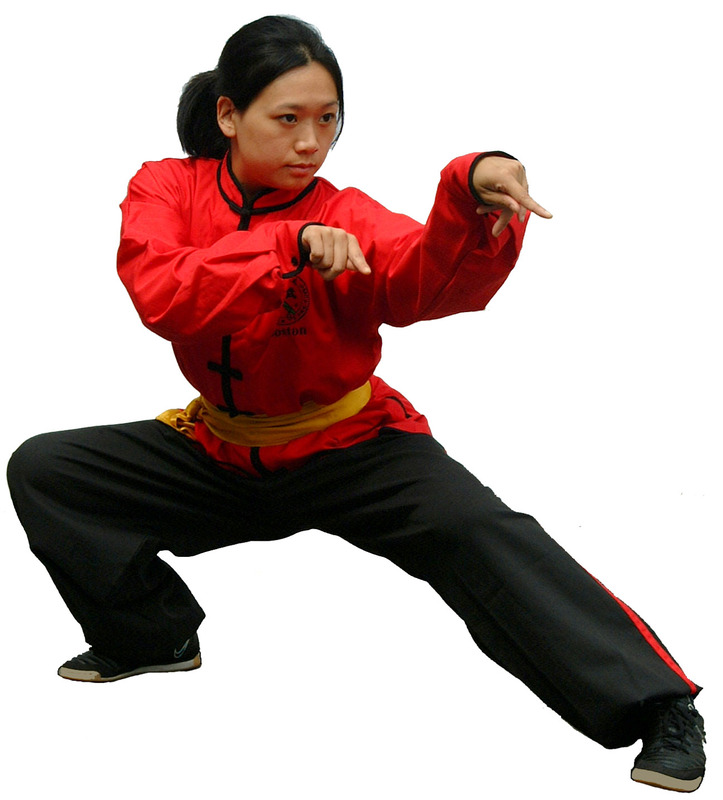 Sifu Mai is one of the few female certified Wah Lum instructors and kung fu instructors in the Greater Boston Area. She has competed locally, nationally, and internationally, winning a gold medal in 1994 and silver and bronze medals in 1994 and 2001 in China. Sifu Mai strongly believes that kung fu is a form of fitness for all ages and practicing it can greatly benefit the body, mind, and spirit, as well as promote physical and mental health, self-discipline, self-confidence, respect for self and others, fellowship, and hard work. A Tufts University graduate, receiving both a BA and M.Ed, Sifu Mai especially advocates for children and young people learning kung fu as a form of exercise and self-defense to positively guide their development to healthy and socially aware adolescence and adulthood. The traditions that are rooted in the kung fu culture are so rich and grounding to one’s identity that Sifu Mai is proud to be one who will help continue these traditions with the generations to come. Through kung fu, Sifu Mai hopes to foster healthy and caring citizens, and thus a healthy community. Sifu Mai also practices Yang Style Tai Chi and Qigong. She believes that the internal art of Tai Chi and Qigong should be practiced alongside kung fu to harmonize the internal and external energy forces and to bring balance to the hard and soft. The ultimate goal is to be in harmony with one’s own body, energy system, and the surrounding environment. Sifu Mai is very involved in various nonprofit organizations in the Greater Boston Area including formerly served as a board president of the YWCA Malden and a U.S. delegate to the International Women’s Conference and the YWCA World Council Meeting in Kenya in 2007. She also formerly served on the board of the Asian American Civic Association. Currently, Sifu Mai is on the board of directors for South Cove Community Health Center, Greater Malden Asian American Community Coalition, and the United States Dragon and Lion Dance Federation. In addition to operating and teaching at the Wah Lum Kung Fu & Tai Chi Academy in Malden and Quincy, she is also a certified Kumon Math & Reading instructor/franchisee and teaches Kumon in Medford.